We carry a wide selection of replacement batteries at an affordable price for our portable concentrators, because you might find yourself needing an extra battery to bring along with you on a trip, or you just need to replace an old one. You just keep a fully-charged battery or supplemental battery pack with you at all times, and you shouldn't have to worry about it. You will most likely need at least 1 extra battery when you board an airplane for a long flight, and most airlines will require that you bring it with you, fully-charged. We have SeQual Eclipse batteries, Respironics SimplyGo batteries, Inogen One G3 batteries and more. Replacement batteries are a perfect solution for oxygen users who need more battery life or just need to replace an old one. They provide an extra 2 to 5 hours of battery life depending on the unit and flow setting. 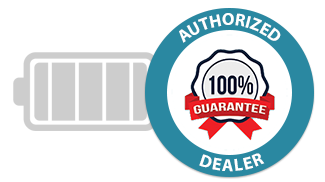 We offer the lowest online prices on portable concentrator batteries and always have inventory that ships same day. Please call us at 1-877-774-9271 if you have any questions.